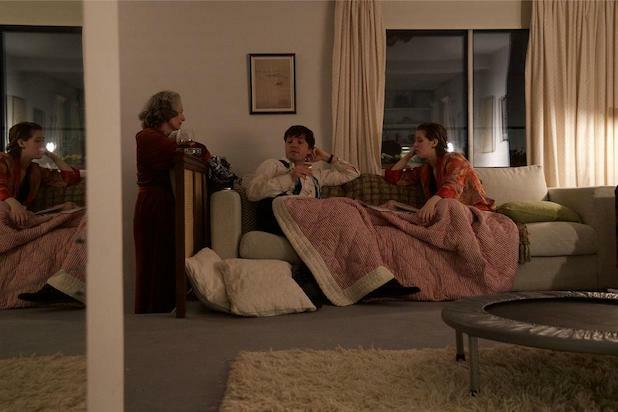 A24 has acquired the North American rights to the Sundance-bound “The Souvenir,” starring Tilda Swinton and directed by British writer and director Joanna Hogg. Martin Scorsese executive produces the film that also stars Honor Swinton-Byrne and Tom Burke. A24 will release the film theatrically in 2019 and acquired it from Protagonist Pictures and 30WEST. “The Souvenir” follows a quiet film student (Swinton Byrne) who begins to find her voice as an artist while navigating a turbulent courtship with a charismatic but untrustworthy man (Burke). She defies her protective mother (Swinton) and concerned friends as she slips deeper and deeper into an intense, emotionally fraught relationship that comes dangerously close to destroying her dreams. Scorsese came on as an executive producer after seeing Hogg’s second film, “Archipelago,” and then cold-called Hogg to set a meeting. This is her fourth film. “Each of Joanna’s films has a mesmerizing power and uncommon intimacy, and ‘The Souvenir’ shows a filmmaker at the height of her craft. The film brilliantly captures the heady, formative days of first love and a young woman’s efforts to give shape to her art, and we could not be more excited to bring ‘The Souvenir’ to a wide audience,” A24 said in a statement. “‘I am beyond thrilled to be collaborating with A24 on ‘The Souvenir.’ With impeccable taste they represent the best of contemporary cinema and have always been number one on my wish list to work within the US,” Hogg said in a statement. “The Souvenir” is produced by Hogg and Luke Schiller, who previously worked with Hogg on “Archipelago,” and is executive produced by Scorsese, Emma Tillinger Koskoff, Lizzie Francke, Rose Garnett, Andy Starke, and Dave Bishop. The film has been supported in development and production by the BFI Film Fund (using National Lottery funds), BBC Films, and Protagonist Pictures. 30WEST negotiated the deal on behalf of the filmmakers. Honor Swinton Byrne is represented by Hamilton Hodell, Tom Burke by Troika and Management 360, and Tilda Swinton by Hamilton Hodell, UTA, and Peikoff-Mahan. Joanna Hogg is represented by 42.